NEC Corp. said the rechargeable- battery-making business it jointly owns with Nissan Motor Co. is in talks to supply other carmakers seeking to power their electric vehicles. “There have been inquiries from potential customers,” said Takemitsu Kunio, head of NEC’s energy business that supplies parts to the venture, Automotive Energy Supply Corp. Wataru Tashiro, a spokesman at AESC, declined to say how far any talks had progressed. 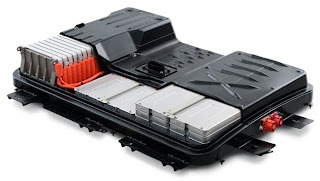 Expanding beyond Japan’s third-largest carmaker would help the manufacturer of the batteries that power Nissan’s Leaf vehicle boost production, lower costs and accelerate the adoption of electric cars, Kunio said in an interview yesterday at NEC’s Tokyo headquarters. Nissan Chief Executive Officer Carlos Ghosn estimates demand for electric vehicles will reach 10 percent of the world’s car market by 2020. NEC, Japan’s largest maker of personal computers, said its energy business will generate sales of 100 billion yen ($1.2 billion) in the year ending March 2013, about 2.5 percent of the 4 trillion yen total revenue the company forecasts then. Sales of electrodes to Automotive Energy, which is 49 percent owned by NEC, will account for most of the division’s sales, Kunio said. Nissan has booked more than 23,000 pre-orders for its Leaf vehicle, which goes on sale in December. Ghosn has said he aims to have capacity to build 500,000 electric cars a year by 2012. The Leaf will sell for $32,780 in the U.S. and 3.76 million yen in Japan.